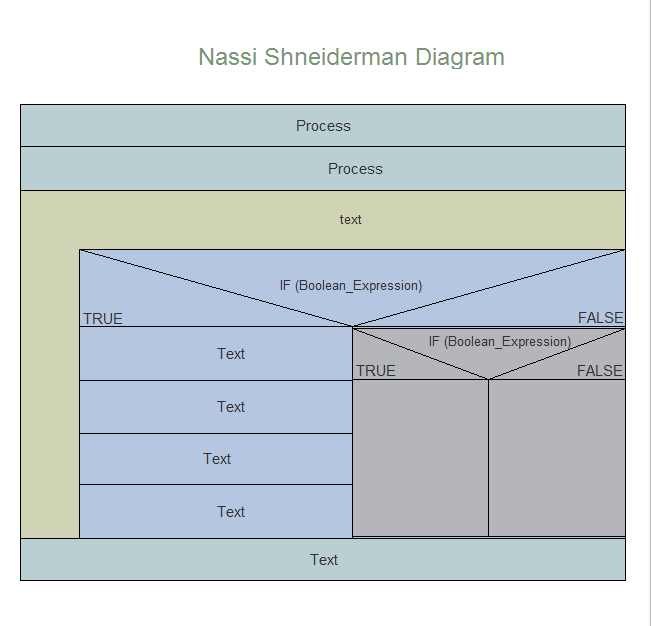 Description: Nassi Shneiderman diagram is a graphical design representation used in computer programming. This blank nassi shneiderman template is provided to download and edit. If this design is not the style your desire, you can just re-design it through Edraw pre-made symbols in the nassi shneiderman library.